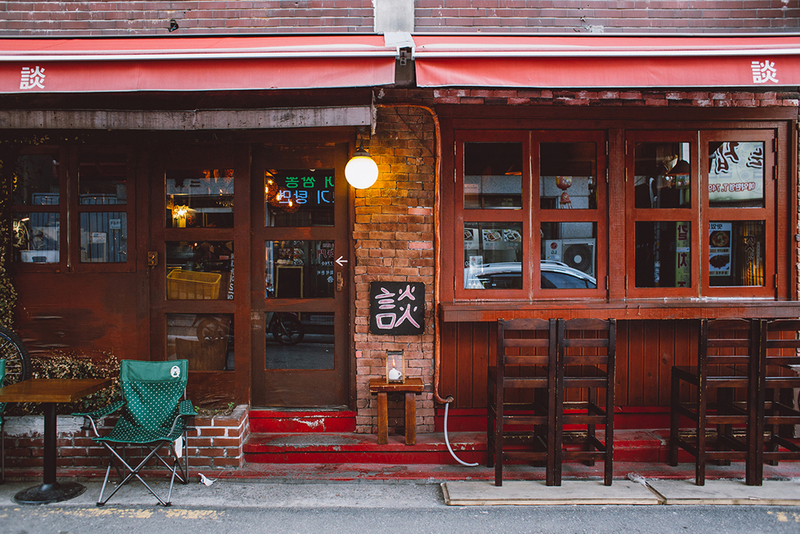 Extending across a ridge close to the top of Namsan and sloping downwards towards Seoul Station and Sookmyoung Women’s University, Huam-dong is dotted with entertaining nightlife spots within a very much undeveloped area of the city. Anyone tired of the commercial boom coursing through the main Haebangchon strip can take a village bus to the roundabout and explore the several restaurants and cafés along the alley going west with spectacular, sweeping views of Seoul. For those living outside of Seoul it’s a great location with great nighscapes to check out before hopping on that last train out. 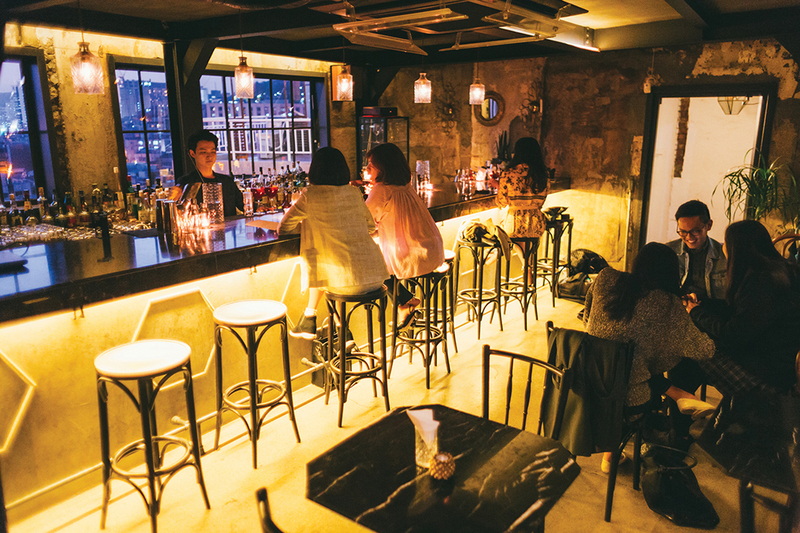 Far enough from neighboring Haebangchon to merit a separate visit but close enough to share some of the energy, Huam-dong offers fun venues for a memorable evening out. Open now for roughly two years, this second-floor cocktail lounge boasts impressive views of the city while seated at the bar or on the bench along the exterior of the building. With a broad selection of whiskies and spirits and an attentive bartender, the drinks menu won’t leave you wanting. Inside, the café is tiny and it can get rather busy on the weekends, but they do take reservations. Although both spaces share the same name as the Baltimore baseball team’s bird, the first-floor café serves the rooftop and operates independently from the bar. The building is noteworthy for how it’s been remodeled to take advantage of the panoramic views — especially at night. 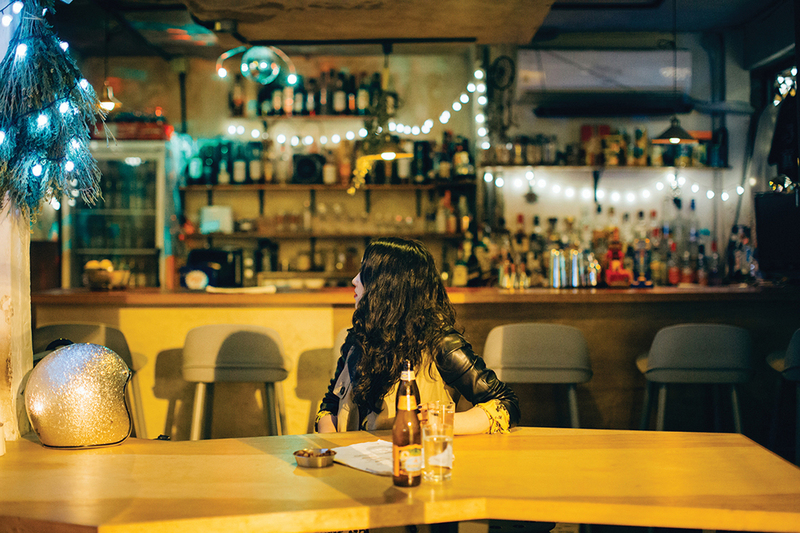 | Open daily, 6 p.m.–1 a.m.
Outlasting the test of time this whimsical and earnest makgeolli bar has been in business for 15 years. 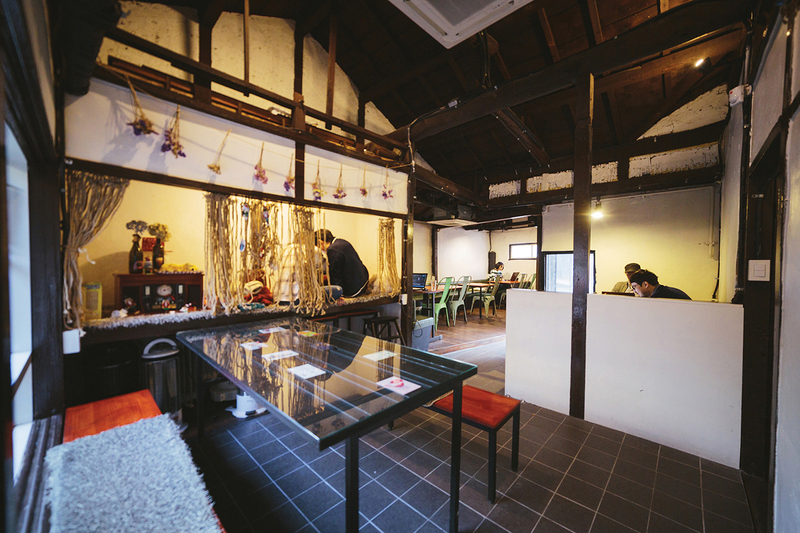 The venue provides an artsy, kitsch setting to enjoy traditional Korean plates that accompany traditional Korean alcohol. A compact menu includes the typical fare with signature plating and their own secret recipe green sauce. In particular, the generous portion of ddeokgalbi is served like a meatloaf rather than shaped like a patty and pairs nicely with any of the specially selected drink options. Mood lighting and jazz tunes complete the picture-perfect date night. | 6 p.m.–3 a.m. daily except Sundays. The owner’s dog roams freely in this quaint second-floor bar that’s super cheap and super friendly. The choices might be limited but they cover all the bases with a basic wine and beer menu alongside simple snacks. Seats by the window have a view of the neighborhood, and at KRW 4,000 for a glass of wine, the prices are affordable. Free wifi and a clubhouse feel distinguishes this hip neighborhood place hidden in the alley behind the main street. Open all day until late, there are plenty of non-alcoholic drinks to choose from as well. There is a cozy attic for semi-private seating along with cubby holes where you can take off your shoes and a mini enclosed outdoor area convenient for smokers. The atmosphere is laid back with a younger clientele and a relaxing place to spend a Sunday evening after dinner. 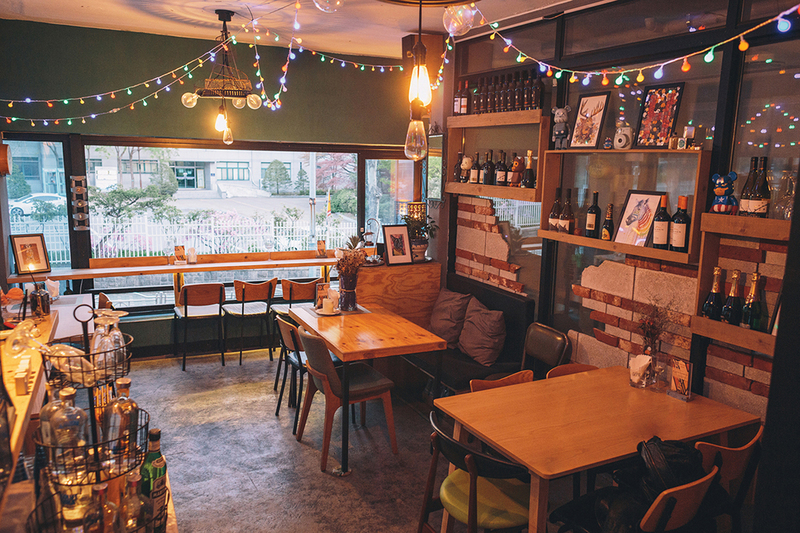 Located inside Shin Heung Art Market, this attractive watering hole is the answer for the moody solo drinker looking for camaraderie in a retro atmosphere. Whiskey, cocktails, beer and wine are all available for imbibing until the wee hours so your evening can last until dawn. This bar just opened last September and is located inside a market on the main road. Stroll down or get on the village bus that will take you through the rest of Huamdong.